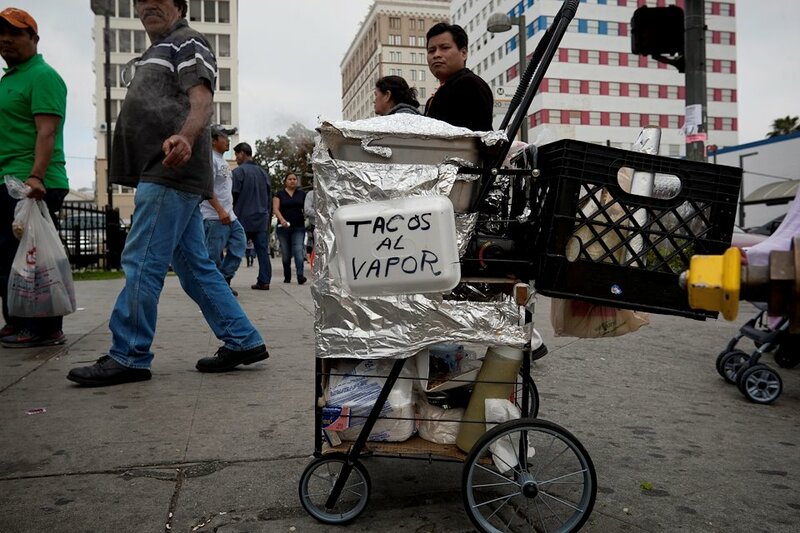 This is Little Street, an appropriately-named block near downtown Los Angeles where street vending was (briefly) legal as part of an “experiment” on the part of city government. 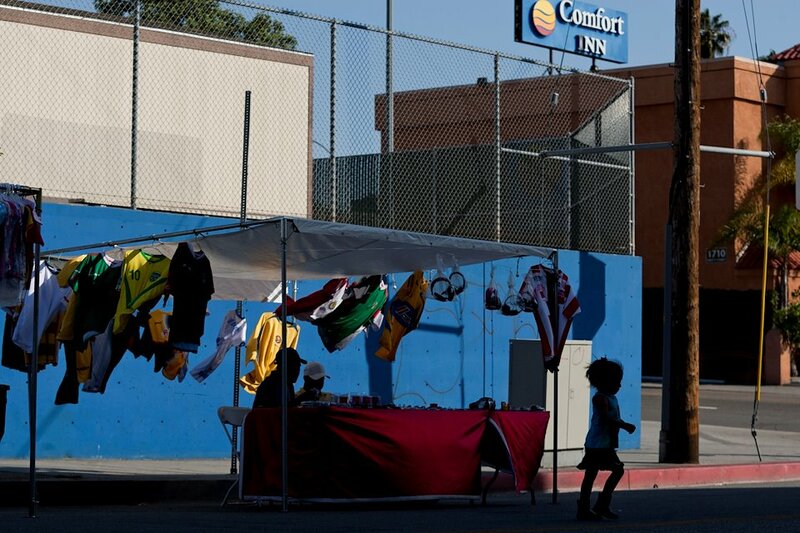 Little St. is less than a mile from Alvarado St., which boasts sidewalks filled with vendors and constant pedestrian activity. The children of the Little St. vendors have taken to playing in the streets on weekends, so light is the traffic. And, naturally, some killer tacos. 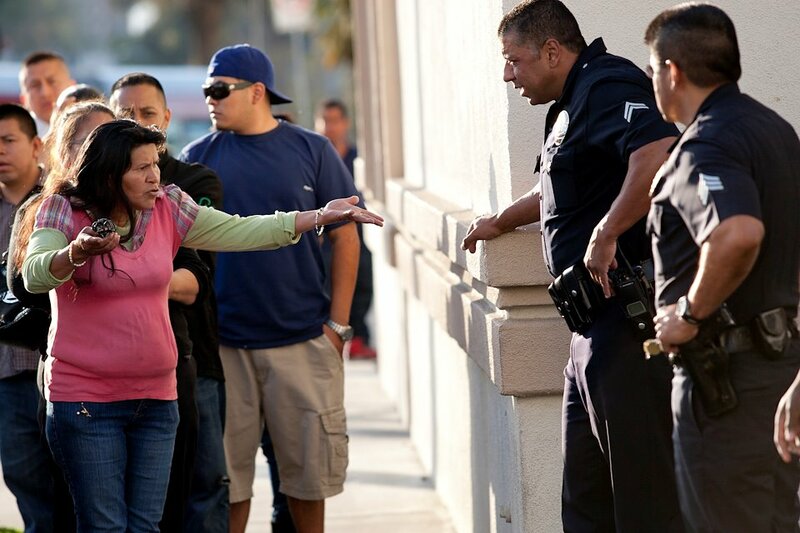 Reporting this story also meant following around the LAPD unit tasked with curtailing street vending. 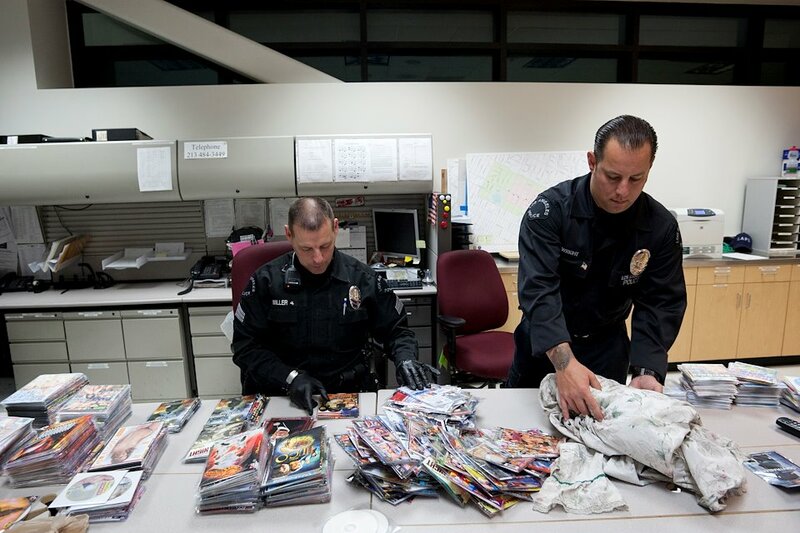 They call themselves the “Men in Black.” Here they are sorting through some confiscated DVDs. It also meant following their leader, Sgt. Joel Miller. Here he is taking a knife to a campsite deemed “illegal.” In the background is Jesse Katz, the writer for this story. 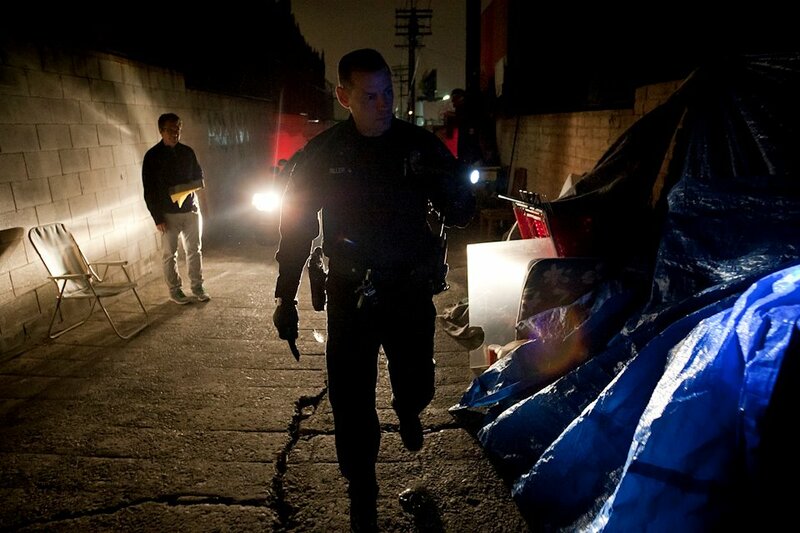 The week prior, Jesse and I watched the LAPD confiscate a taco cart on Alvarado and arrest its apparent owner, under suspicion he was using it to conceal a firearm. It turned out to contain only tacos. Worse, the cart wasn’t even his. Naturally, the cart’s owner was upset. 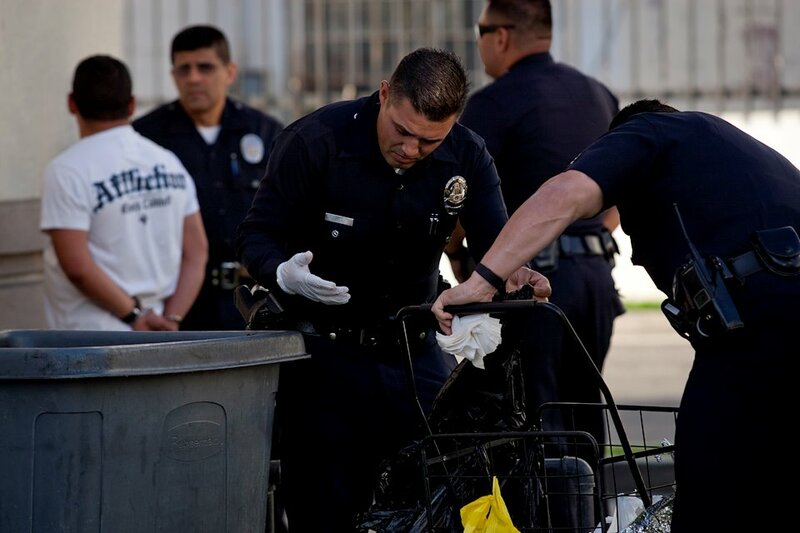 The police eventually let the alleged criminal go. The arrest caused quite a scene in the neighborhood. 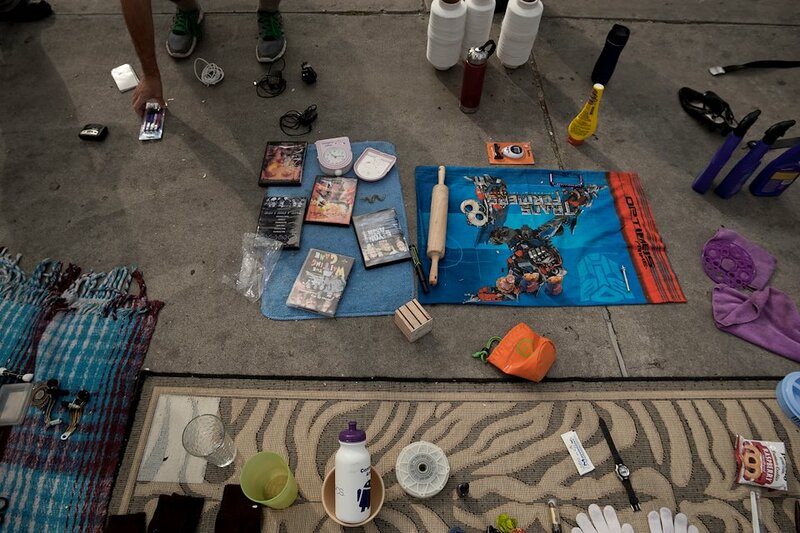 The Little Street “experiment” was abandoned not long afterwards, and now several groups have started to campaign for legal vending city-wide. 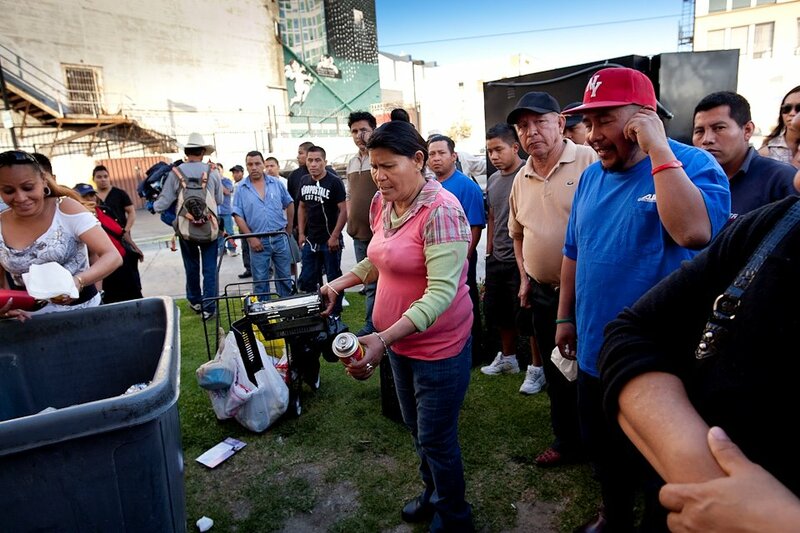 A six-month investigation into the semi-legal world of Los Angeles' street vendors.